Reassurance shield after the business loops as we cross the railroad tracks. 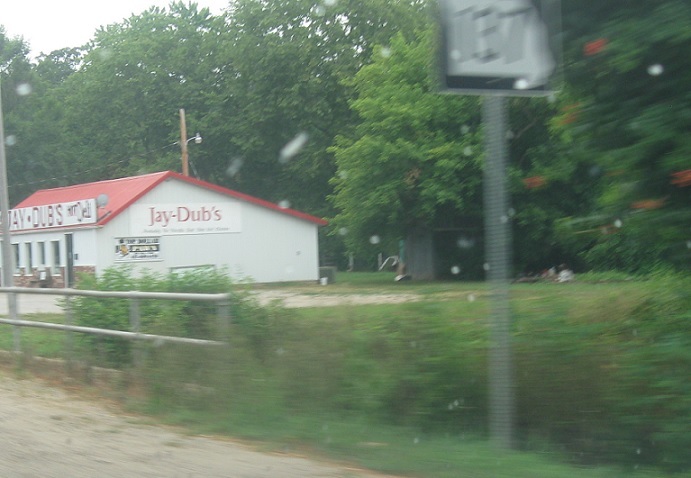 A few blocks later, we’ll approach Missouri 76, among other routes. 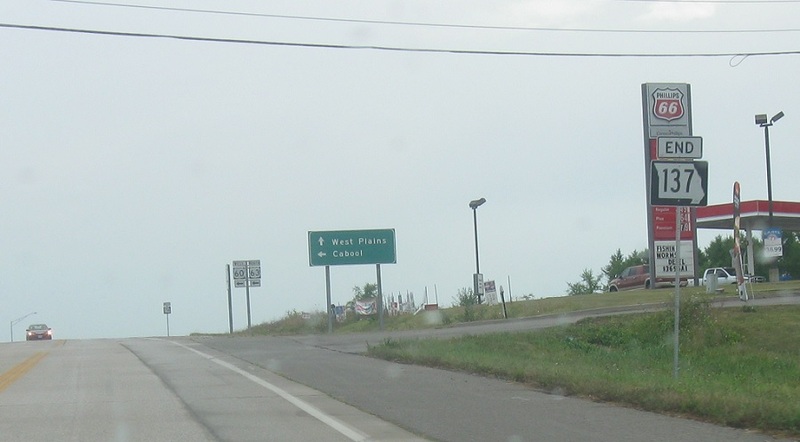 Missouri 137 ends as we approach US-60. Follow 60 west/63 north to Cabool. Turn left for 60 west/63 north. 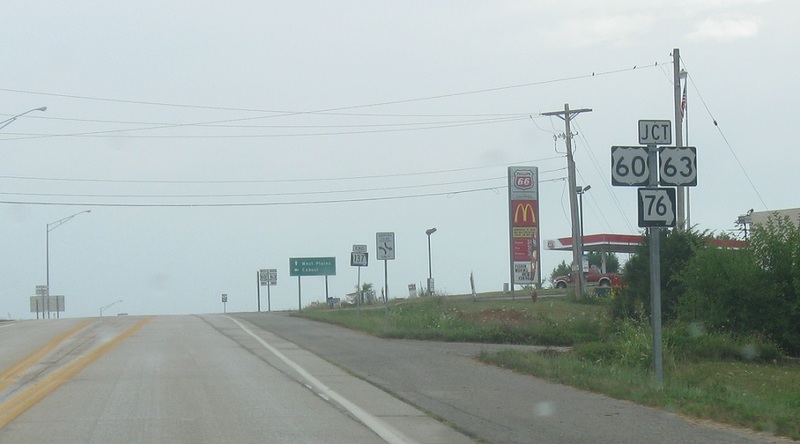 Missouri 137 turns into Missouri 76. 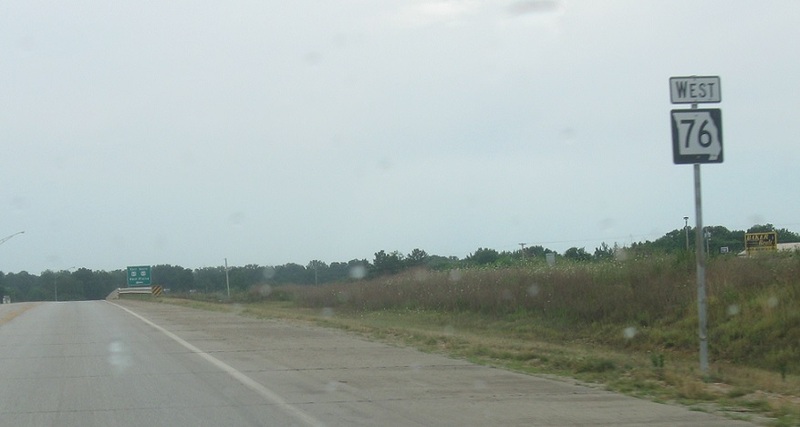 Follow 60 east/63 south to West Plains. 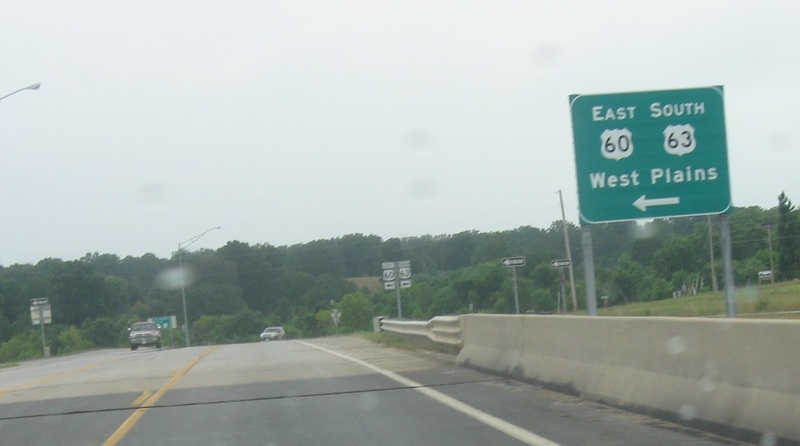 Turn left for 60 east/63 south. Stay straight for Missouri 76 west.